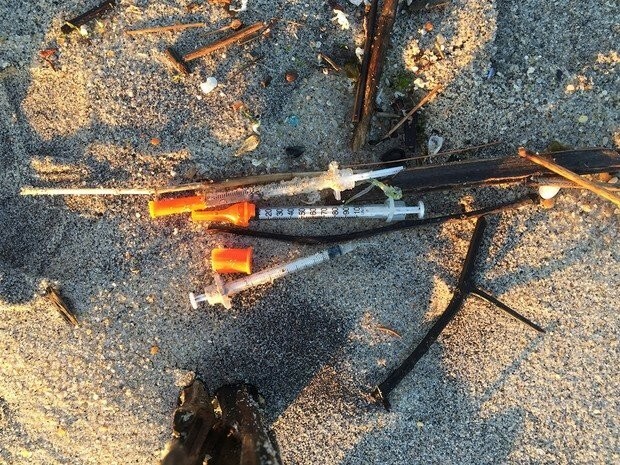 The images were disturbing: hypodermic needles, syringes and vials of blood washed ashore miles of beaches along the Jersey Shore... One way to restrict the amount of pollution that the bad sewage and stormwater systems dump into Garden State waterways is by installing netting at the outfalls to catch floating debris before it enters the waterways. Daniel Van Abs, an associate professor for Water, Society & Environment at Rutgers University, said the nets have reduced the possibility of sewage overflow. "They are required to catch solid and floatable materials at each outfall," Van Abs said.